"... I used this for a week a few years back and didn'r really get much out of it besides severe headaches and stomach / side pains each time. Not really sure why, I followed directions exactly and never heard about such side-effects. I wouldn't use this again, but I actually think that it has been discontinued. Which makes sense." "... I am using dark energy now for a few weeks and it has really helped me with my workouts. The taste is not the greatest but I really don't care as I just get it down for the result not taste. I will say that it kicks in very quickly for me and I do use the max dosage. My workout are generally 30-45 minutes since I don't waste time chatting or resting too long between sets. This really allows me to push through it at 100% to the end.. which is what I want." 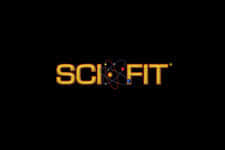 SciFit - Dark Energy - Unleash your Workout! Another powerful addition to the class of pre-workout supplements on the market today! 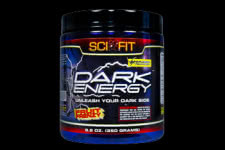 Sci-Fit supplements have come a long way especially with their latest release, Dark Energy! With so many pre workout supplement drinks, powders and pills on the market today it can be difficuly to distinguish between good and bad choice. Well you can come trust the brand to say that Dark Energy is a powerful and extremely fast acting workout aid that will surely take your focus, power and intensity to the next level. Everyone wants to make the best gains while they are in the gym and with the help of supplements such as Dark Energy, you can realize this potential quicker! 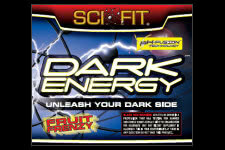 Give Dark Energy a try today and be sure to share your reviews with us here at fitFLEX for others to benefit from! Fast Absorption with Revolutionary PH Fusion Technology! Take your Workouts to the Ultimate Insane Level Today!